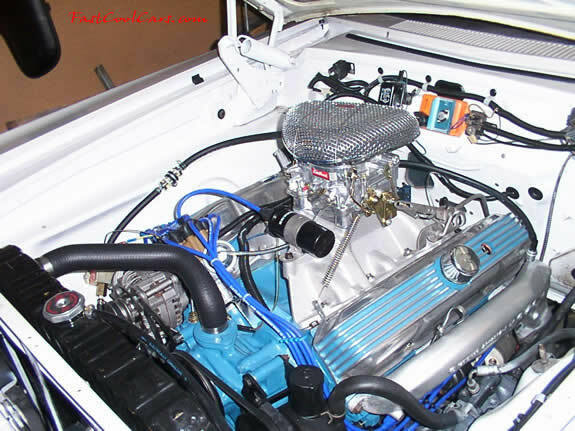 1965 Dodge Cornet 500 - This is a 67 440 placed in a 65 Coronet 500, replacing a 318 poly motor. Mostly stock (but all rebuilt), the 906 heads are slightly ported. Edelbrock Performer II manifold and 800 cfm carburetor. Mopar electronic ignition replacement and Taylor wires. Mated to a modified 727 with a Hughes converter. Just starting to get it sorted out to run well.